Though there is no longer an official Midrand, the name is still on common use to denote the suburbs around the N1 highway north of the Jukskei River up to the border with Tshwane. Midrand grew from two urban complexes: Halfway House and Olifantsfontein. In the early 1980s, these were joined under a single administration. Ivory Park, a planned informal settlement nearby, is an impoverished community and poverty eradication, development, job opportunities, economic growth and improved quality of life the main concerns. Ivory Park was established in 1991 to provide site and service stands to address the overflow of people from nearby Tembisa and other urban areas. Midrand, a relatively modern city situated in the Gauteng province, has experienced much growth in the last decade. 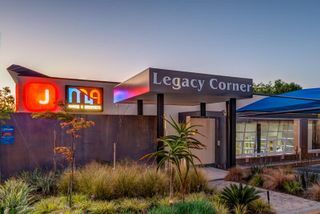 Many businesses have relocated to Midrand due to its proximity to good highway links and its location in the economic centre of Gauteng Province. Midrand's development has meant there is little break between the outskirts of Johannesburg and those of Pretoria. Midrand is home to large-scale industries such as textiles and motor vehicles, it is a superbly located business venue. Midrand includes the Boulders Shopping Centre and the Gallagher Estate, where there is a large exhibition centre. Midrand Airport is a general aviation airport and is situated to the East of the N1 highway. The western suburbs of Midrand are all agricultural and constitute the highest equestrian area of South Africa. The more central suburbs of the area host the headquarters of many large technology and medical companies. Only Rentals Midrand can assist you with a wide selection of residential property available for rental in Midrand and includes the following Houses, Apartments, Cluster Developments, Security Villages / Complexes, Townhouses, Garden Cottages, Flats, Lofts, Duplexes, Agricultural Holdings, Equestrian Estates, Plots, Small Holdings and Farms. Some must see attractions in Midrand include amongst others the Glen Austin Bird Sanctuary, Kyalami Country Club, Kyalami Racing Circuit, Midrand Graduate Institute, South African Lipizzaner’s, Lory Park Animal and Owl Sanctuary and the Midrand Urban Market.